So spoke The Dead 2: India producer (and co-writer and co-director) Howard Ford, the day after the movie’s premiere as the opening film at FrightFest 2013. Howard is one half of a filmmaking duo along with brother Jonathan Ford. After making two low budget thrillers, 1994’s Mainline Run and 2000’s Distant Shadow, they made a name for themselves directing adverts. Howard produces (“I’m the diplomatic one”); Jon is the cinematographer (and “the axeman”). Both write and direct. And both can get things done. 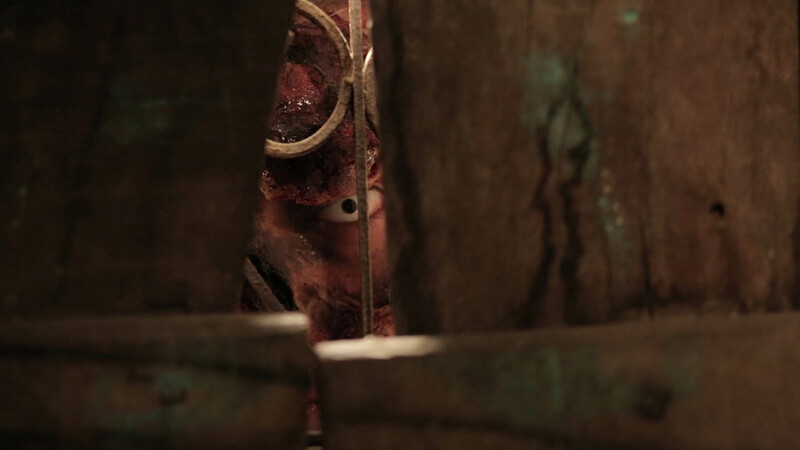 They demonstrated this with 2010’s The Dead, the first zombie film to be shot on location in North Africa. A mix of Lucio Fulci and Nicolas Roeg, it was an atmospheric, unusual zombie film, achieving a lot on very little. Now the Fords return with a terrific India based follow-up, the first foreign zombie shot in the country (there is an Indian zombie flick entitled Go Goa Gone). So why zombies again and why India? Howard Ford speaks for both when he says, “It was a case of how can we take this to the next level and raise the bar. We said what’s the most stunning place on planet Earth and it had to be India. On The Dead we tried to tap into how Africans would translate a zombie epidemic to fit their religion. How it would fit into Hinduism on this movie is something we found fascinating to explore, with the strong belief in karma, reincarnation and the spirit eventually becoming perfect. On The Dead, Howard and Jon watched the budget vanish in a sandstorm of corruption and pay-offs, inspiring Howard to capture the experience in a book, Surviving the Dead. Was shooting in India easier? “Relatively speaking!” Jon (picture – right) is quick to add. This desire to provide audiences a fresh spin on zombies, an increasingly saturated horror sub-genre, is the driving modus operandi. Not that the India shoot was without problems. Howard says he’s been asked not to reveal the movie’s budget lest it jeopardise certain distributors even agreeing to view it. But, again it is clear The Dead 2 cost far less than the $20-25m budget you would hazard a guess on, and did encounter problems. “We had dangerous situations,” says Howard. “There’s a harrowing scene by a railtrack with a woman and child in a car, and we were in a violent situation when setting that up. Do they attract this danger though because they are foreigners in a foreign land and a film crew still means glamour and money to most eyes? When The Dead was a DVD and Blu-ray hit in the US, the Ford Brothers did get offers to make a studio backed sequel. They quickly discovered with great money comes great contractual obligation to deliver exactly what was agreed upon. 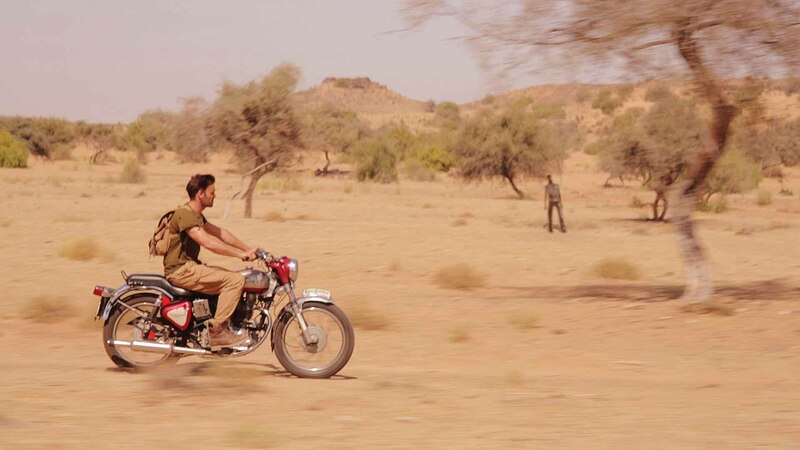 Shooting in Africa or India makes that promise difficult so the Fords went the more difficult independent route. Were they never tempted to take that studio money hose to wash away problems? 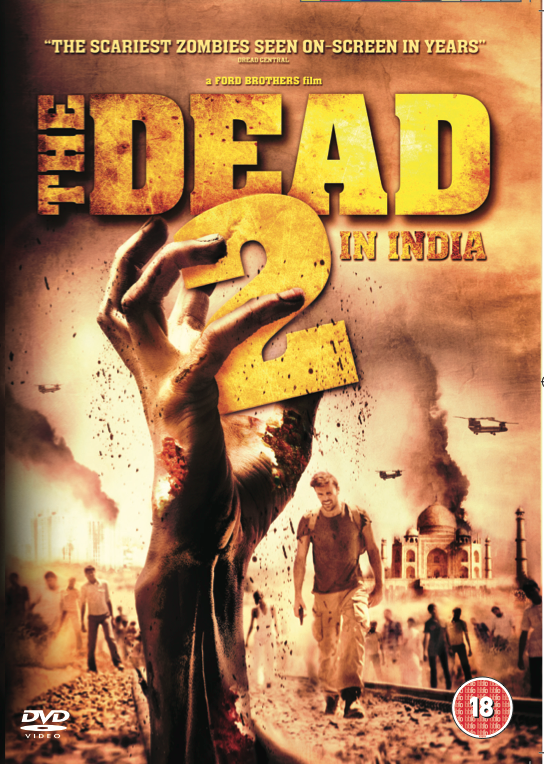 Despite limited resources, The Dead 2: India is a larger production than the first instalment. A helicopter shot of lead Joe Millson hanging off a massive wind turbine is breathtaking, and signals a leap forward in the Fords’ ambition. “We were able to do some aerial photography on this film,” Jon explains, “which allowed us to raise the bar and add new elements. We planned aerial shots for the first Dead but most of the money went on bribery and corruption. When it comes to Millson, an old friend of the brothers, both Howard and Jon have nothing but praise. “Joe’s afraid of heights, but when he got in character he adapted himself to overcome his fears. He claims he’s not a method actor, but off he went up that turbine. And the same with the paraglide escape when the zombies breach the building he’s in. Joe strapped it on, the chute caught the wind and it was only when he was standing on a roof and turned on the motor did he ask how he would stop it. But even Millson asked if there were certain acts his character was going to perform as written in the script. The hero of The Dead 2 does things heroes don’t usually do, including that harrowing moment at the railtrack with a mother, young child and an advancing zombie army. Did they have debates about these moments? “You won’t ever see this thing in a Hollywood movie,” Jon chips in emphatically. A pivotal scene, its success is all the more remarkable because it immediately followed the run-in the filmmakers had with the local gang. 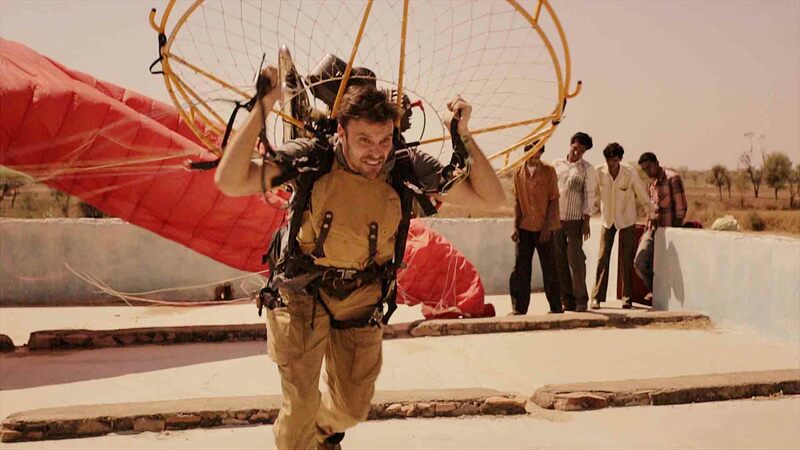 Using the energy of the place and situation, cast and crew used the adrenalin from this encounter for the shoot. “When Joe’s kicking the car a lot of that is genuine frustration and anger,” Howard explains, “Real life was giving us something that we could bring to the emotion of the film. The Fords brim with praise for the film’s young star Anand Goyal as Javed. What initially seems to be a Jar-Jar Binks misstep with Javed owing Millson’s Nicholas a life debt, it soon becomes apparent the youngster is the heart of the sequel. Laughing, Jon recalls his thinking was of the old showbiz maxim, never work with children or animals. “Howard was keen at writing stage to incorporate the Javed character. I don’t get on with kids very well; they’re okay from a distance, but to have a little boy as a principal character made me nervous. But, he walked on and melted my heart, and was a joy to work with. With The Dead 2 relocating the action, it seems the ambitious film-making siblings are eying a franchise. Following the geographical shift from Africa to India, China would seem to be the next choice. Although skipping the Middle East in the shift from The Dead to The Dead 2, the world’s most dangerous region still holds attraction for the challenge relishing brothers, as Howard explains. And when pushed on this being a franchise, Howard acknowledges The Dead could yet become the Ford’s pension scheme. There has been interest in developing a console game based on the movies and a graphic novel. Jon is quick to agree, saying they are considering removing the “2” from the sequel, so the series works as a study in the way different countries react to the outbreak. “Then you can start doing cities after that!” Howard exclaims.